The “trash pandas” — as they’re (possibly) affectionately known — have been particularly adept at getting into Torontonians’ garbage bins. Dempsey tells NPR’s Lulu Garcia-Navarro on Weekend Edition that she reached out to animal behaviorist and raccoon expert Suzanne MacDonald, who had been hearing the same concerns from locals, worried about the possibility that the city’s “very fat” raccoons would starve. “She had been measuring and weighing dead raccoons since about a year before the green bin rollout started to see whether their body mass index changed. So I asked if I could go with her and that’s where it started,” Dempsey says. MacDonald wasn’t able to initially say the raccoons were losing weight. But “they’re not starving to death, that’s for sure,” she told Dempsey. The bins, as Dempsey writes, feature “a rotating handle on the lid that connects to a disk on the inside, which, when the lid is shut, fastens into a made-in-Germany gravity lock.” You can open the bins by turning the circular latch, or by turning the bins upside-down to 110 degrees, “which triggers the release of the gravity lock.” The gravity lock is there to let a robotic arm on garbage trucks open the bins. Raccoons weren’t able to open the bins in tests that MacDonald ran — they don’t have opposable thumbs. But somehow raccoons kept getting into some people’s trash cans, including those of Dempsey and her neighbor. Was it an “uber-raccoon”? “I imagined meetings led by genius raccoons like ours who had successfully broken into green bins and now enjoyed prestige in the raccoon community,” she writes. “Then the raccoons got into the second bin and then the city came back and said, ‘Well, actually we think there might be something wrong with the second bin that you’ve had,’ ” Dempsey tells NPR. Around this time in the story, MacDonald checked back in to say the dead raccoons were coming up just as heavy as before, if not slightly heavier. They still weren’t starving. A bin company sales manager said Dempsey’s second bin had a faulty handle and was too easy to turn. 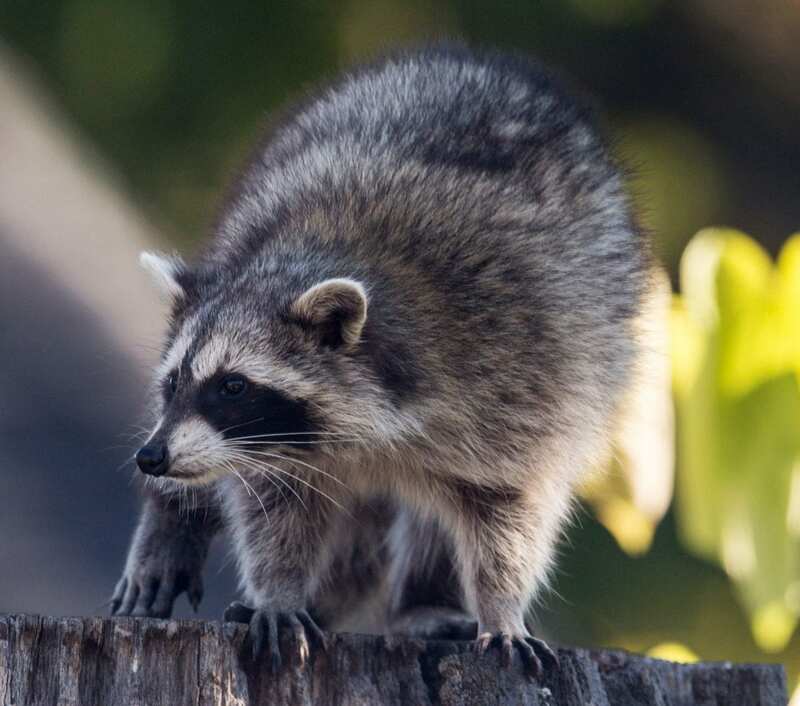 “The city maintains that the bins are working well and the breaches are not a widespread problem, with just 24 raccoon-related complaints out of nearly half a million bins,” Dempsey writes. Dempsey doesn’t think it’s a widespread problem either — just that there happens to be “The Smartest Raccoon in East York” prowling her neighborhood. There might be more. NPR’s Alexis Diao and Ian Stewart produced and edited this story for radio.